I love it when as a writer you realize that other creative people face similar struggles or challenges with their craft. 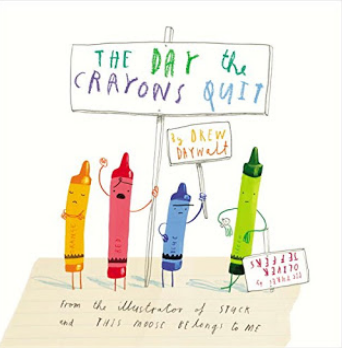 Like when I attended the SCBWI conference in LA last summer, I was heartened to hear how Drew Daywalt, the author of the NY Times bestselling The Day the Crayons Quit, waited six years for his agent to find a publisher who ‘got’ his book and wanted to publish it. • E.B. White kept a journal and he finished each entry by asking himself a question that he could think about as he was drifting off to sleep. Yes! This is such a good technique – to mull the questions of the day, of the story, of a stuckness that becomes unstuck in the subconscious of slumber. I love to do that too! 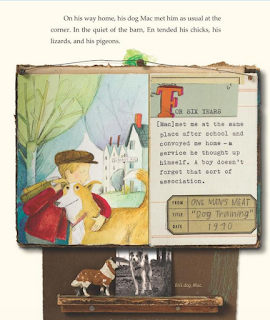 • In his column One Man’s Meat for Harper’s Magazine, he wrote in 1982 about the influence of moving to a farm in Maine, where “confronted by new challenges, surrounded by new acquaintances – including the characters in the barnyard who were later to appear in Charlotte’s Web – I was suddenly seeing, feeling, and listening as a child sees, feels and listens”. I thought about this. As I read on . . .
• It took E.B. 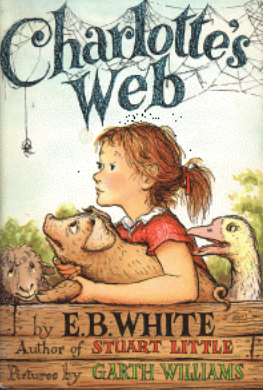 White a year of revisions to settle on the iconic opening for Charlotte’s Web. 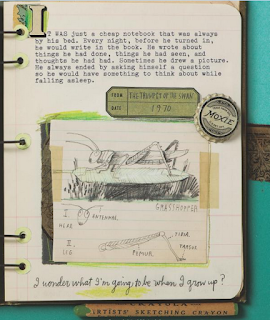 In Some Writer!, Sweet includes images of White's original manuscripts, complete with crossings-out and musings in the margins. I was struck by this journey to find the way into the story. 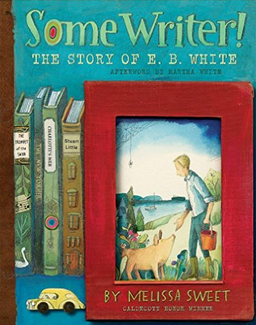 The story was there all along, wasn’t it, but it was only when White cut to the emotional core of the characters’ emotional journey and told it like child might experience it that it felt right. • clear character motivation – why? 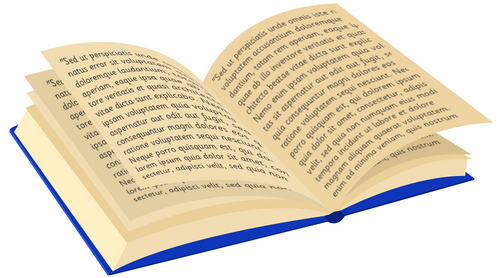 is what will really hook readers into the story and get them to keep turning the pages. When we read the opening line of Charlotte’s Web, these elements come together almost effortlessly. But the weren’t effortless at all . . .! A big THANK YOU to guest blogger John Dougherty for this post that shows how perseverance can pay off in picture book publishing. Like many children’s writers, I used to be a teacher. 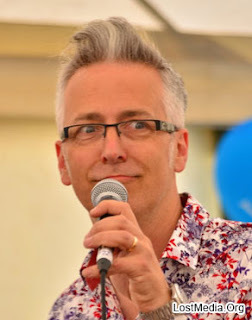 And like many children’s writers, I probably wouldn’t be a professional author now if I hadn’t been a teacher first. Teaching being as all-consuming as it is, I was, for a while, too creatively drained to be able to try any actual writing. But in my third year, my imagination was given a nudge by my pupils and some of their idiosyncrasies, and I ended up writing a number of what I hoped were picture-book manuscripts. My favourite of the bunch was inspired by Suganthi, a sparky little girl with a very snorty laugh; I’d taken to teasing her that she had a pig up her nose, and this prompted a story of a girl who, well, had a pig up her nose. To cut a long story short, that was my break. Over the next few years Sue gave me feedback on everything I sent her, suggested I have a go at writing chapter books for newly emergent readers, and finally, when I sent her Zeus on the Loose, offered me my first deal. I have no idea what made the difference. Why did it get virtually no attention from anyone twenty-one years ago, yet an almost instant deal and broadsheet reviews all this time later? I can guess, of course, as can any of us, but there’s really no way of knowing. 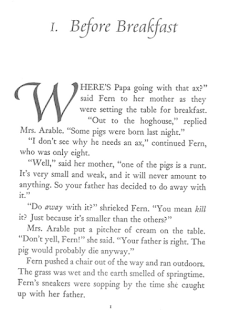 Perhaps ridiculous humour was just unfashionable in children’s publishing then, but is in vogue now. Perhaps it just landed on the right person’s desk this time round. Whatever the reason, it’s another reminder of the lesson most of us, as authors, keep coming back to: persevere. If you believe in a story, don’t give up on it, because some day someone else may agree with you about it. Of course, Suganthi and the other children in that Year Three class at Hillbrook Primary school will be all grown up now. But I hope that some of them will come across There’s a Pig Up My Nose in a bookshop or a library somewhere, and recognise my name, and read it to their own children. And I hope that whatever they’re doing, they too will have learned the lesson of persistence. 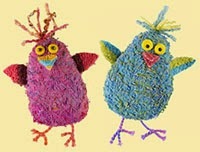 John’s website is at www.visitingauthor.com and you can follow him on Twitter @JohnDougherty8. 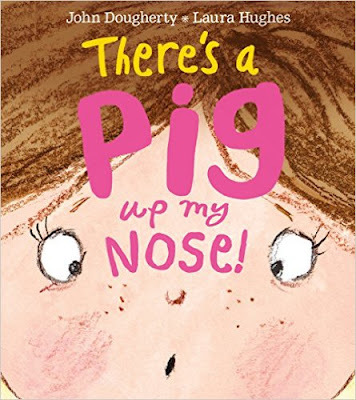 There’s a Pig Up My Nose, illustrated by Laura Hughes and published by Egmont, is his latest book. As our world divides, and distrust between different peoples seems to be growing, our children need to learn to do better than us. That will only come through understanding and communication between cultures. This has set me thinking about the few occasions when my story text has been illustrated by an artist from a different culture. … but Bloomsbury appointed an Italian illustrator, Anna Cantone, to do the final illustrations. She used collage to produce very ‘designery’ images (please excuse the badly lit photo!). I wasn't sure about them to begin with. And yet I’ve come to love them. Why? Well, largely because young children react to them so well! 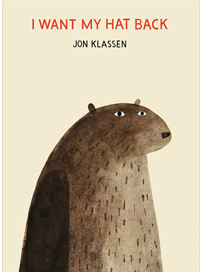 (NB This book is now out of print). I’ve had books illustrated, published and sold in South Korea, and those have surprised me by showing children who look more British than Korean to me. 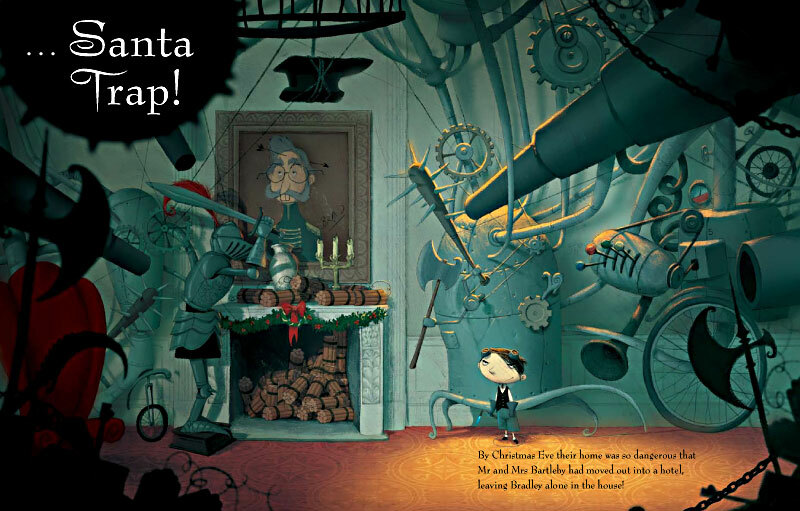 It took three years to find a suitable illustrator for my picture book story The Santa Trap and I’d almost given up hope of ever finding one when my editor Emily Ford discovered Argentinian illustrator Poly Bernatene. Poly brought a distinctly South-American Gothic feel to the illustrations that was a perfect fit for the dark, cautionary tale. Poly’s English is pretty good these days (and certainly puts my miserable Spanish to shame) but back then his wife Paula translated the story’s text and Emily’s email correspondence so that the language difference did not seem to present too much of a problem. We’ve since done three more books together and are hoping to do a fifth. Although Poly can sometimes interpret my words in a way that I hadn’t intended, this often leads to interesting and appealing results. That highlights one obvious problem; language differences. And yet translation of short texts isn't hard. Perhaps there should be more cross-cultural cooperation? There is! Tiny Owl Publishing have recently launched an exciting and innovative move to publish children’s picture books which ‘bridge cultures’, specifically between Iran and Britain. 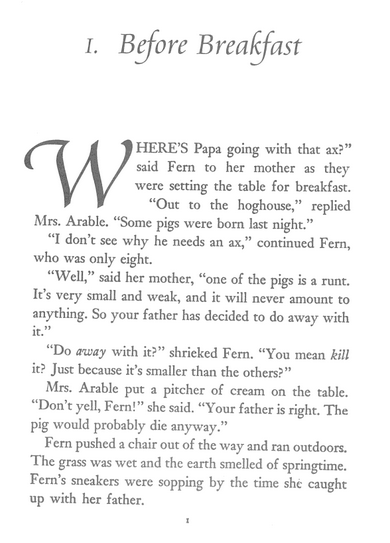 They asked me to write a fable for an Iranian illustrator to work on. 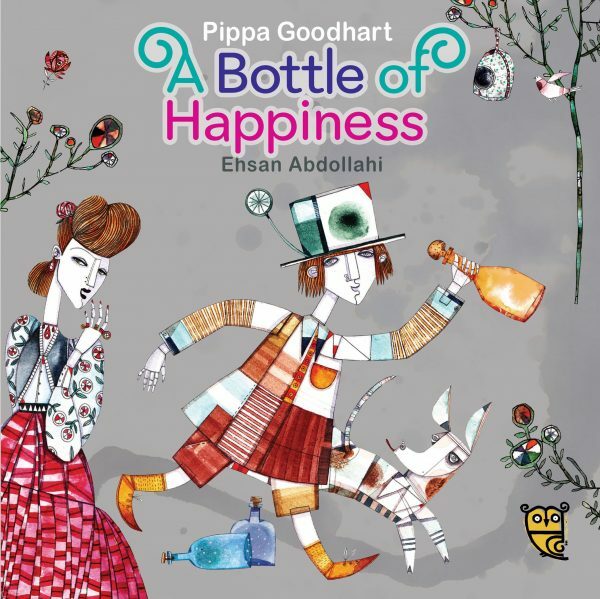 So I wrote A Bottle of Happiness, and, remarkably quickly, there was my story made into the most beautiful and, to me, initially slightly strange images by Ehsan Abdollahi. 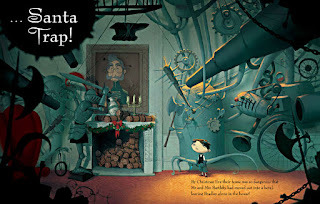 As with Three Little Ghosties, I wondered whether the style would be too sophisticated and strange to British children’s view, but not a bit of it! More fool me for underestimating them. 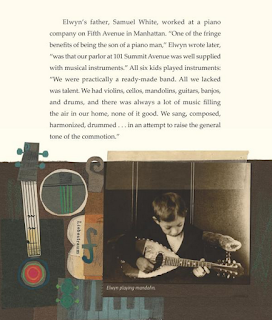 Of course ALL styles, indeed the whole world, is new to a small child, so they naturally tend to be more open to new ideas than we adults might give them credit for. In our modern world, we need to know facts about each other, but I strongly believe that we also need to have a proper feel for, and familiarity with, each other’s worlds and outlooks. We need to share cultures. 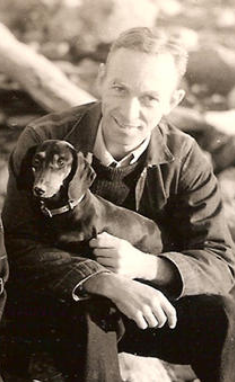 My father, who was a lovely and wise man, used to say that the point of education was to give us more things in life to enjoy. Well, having access to the beauty and insights of other cultures certainly gives us more things to enjoy. So let’s give that joy to our children!